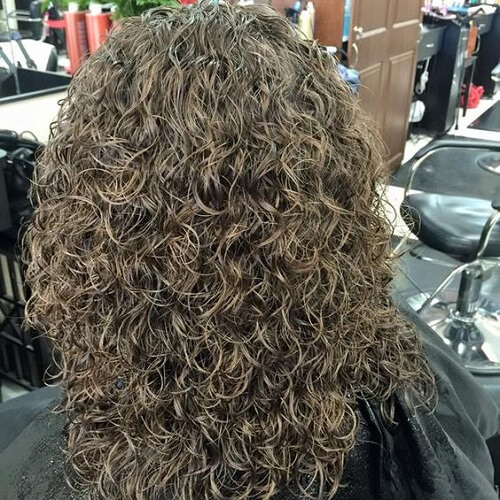 If you’re up for a huge, fabulous makeover, consider getting a perm. 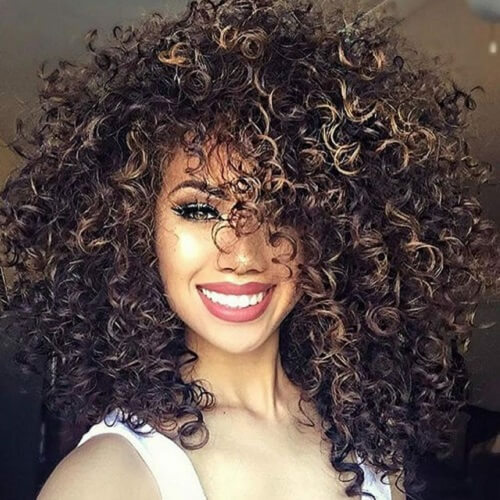 Whether you want to get super curly locks, soft waves or perfectly straight hair, you can always play with the idea of a perm. Contrary to popular belief, not all perms damage your hair. Nowadays, new techniques allow you to get the hair texture you have always dreamed of while keeping your locks happy and healthy. Get inspired with these 50 ideas below! Spiral perms are delicious eye candy indeed. 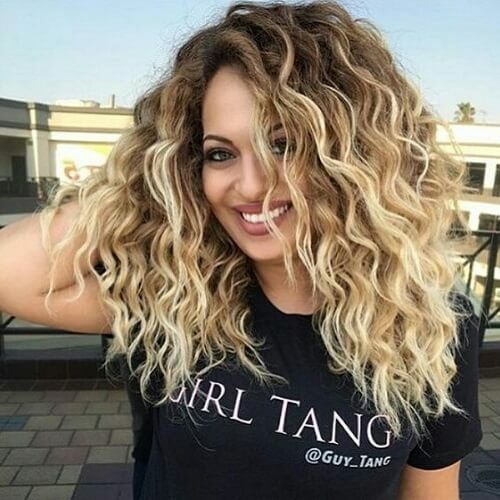 This permed style shines through well-defined, bouncy curls that don’t take a lot of time to style. In addition, they work for short and long hair alike. 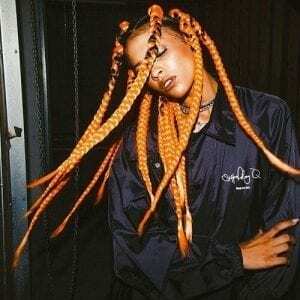 If you want to highlight your rebellious side, go for messy permed locks. You can toss them from one side to the other with minimum effort. Also, they look amazing with both casual and fancy outfits. For a DIY approach, you can always think about using perm rods. 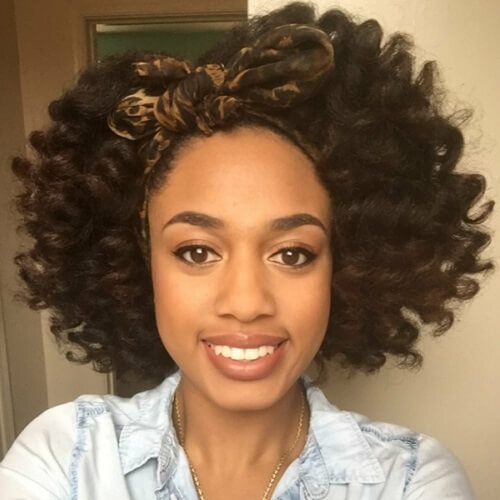 This helps if you want to give your natural hair some shape, and you’ll love the results. It might take a bit more time, but the outcome is worth it. One of the best parts about having permed hair is that you can choose to rock it with or without bangs. For bohemian glow, consider leaving a few choppy bangs in front. You can always pin them to the side for a change. If you want your waves to stand out when your hair is dry, the digital perm is for you. 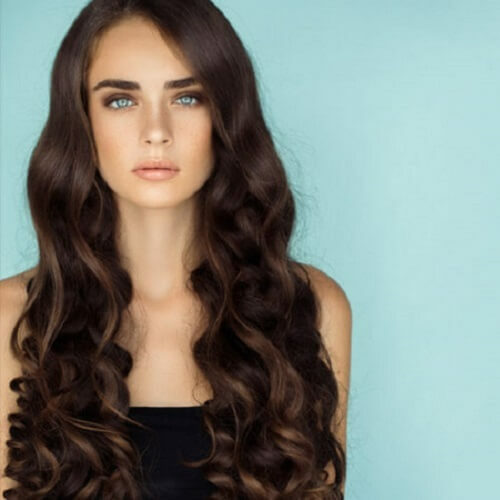 Moreover, this perming technique gives you loose wavy hair when it’s wet. The results resemble those of a curl iron, which makes it the perfect hairstyle for girls who want those soft waves. Have a spot of sunshine in your hair all year round with beach waves. 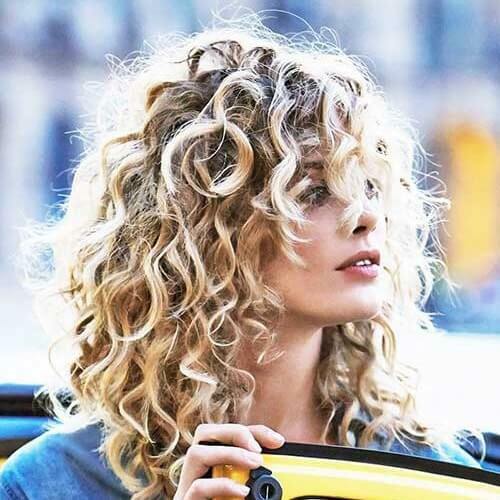 These are ideal for the gal who loves the messy-yet-tamed look, with carefree curls all around. It’s enough to brighten your day every day. 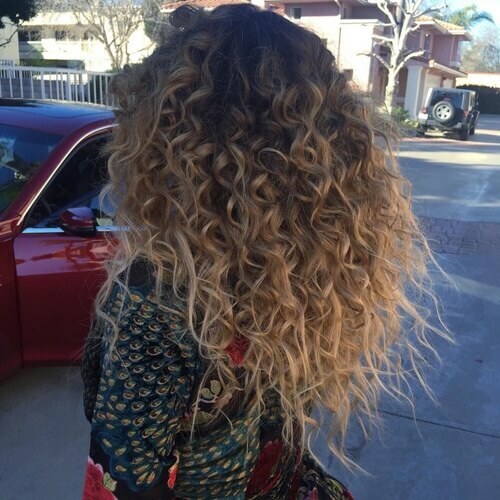 Once you get your curls, you can start thinking about coloring them if you’d like. One of the biggest trends recently is balayage. Even though it’s like ombre, the gradient is a lot smoother, boosting the natural glow of the look. Of course, you can always go for the bold contrast that ombre has to offer. This coloring technique looks especially attractive when combining dark brown with blonde or a similar light shade. However, you can mix any colors you’d like. For an even bolder approach to your newly curled locks, try a pretty pastel shade. For instance, this cotton candy pink is all the rage. It looks even more stunning if you have light colored eyes, so girls with blue or green eyes should definitely keep this fairy-like look in mind. 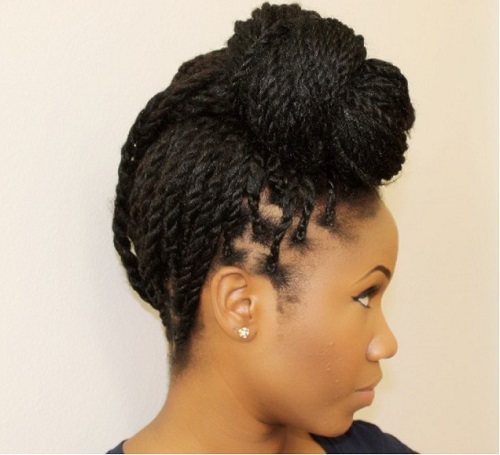 If you permed your natural hair and left bangs, one of the best way to style them is with the ‘pineapple’. This puffy ponytail with bangs is named this way owing to its resemblance to a pineapple. Nevertheless, it gives you glam for days. This is what a super curly permed style looks like. The all-around look is enhanced by the dark highlights, which beautifully blend with the platinum blonde base. If you want a long, sleek result, skip cutting your hair in layers. A bohemian spirit is often complemented by soft, loose waves. In this regard, we recommend that women going for the boho chic style to not opt for full curls. Instead, experiment with wavy hair. As far as hair colors are concerned, grey hair is hotter than ever this year. Mix it with permed hair and dark roots and you have the granny hair results you’ve been longing for. Easily wear your hair in a loose updo or laid back. This is yet another example of how wavy hair turns out after getting it permed. 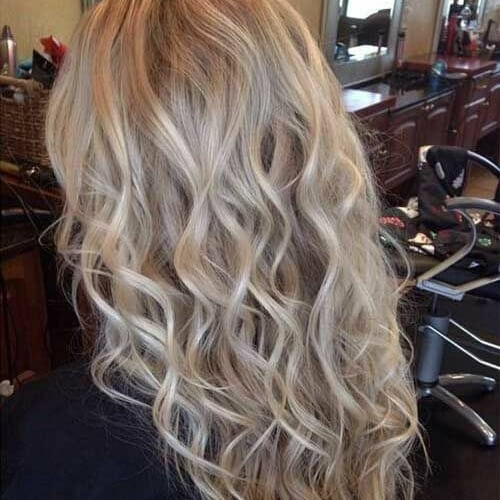 If you have long hair, it will be beautifully shaped into delicate waves that flow all around. Even though we’re used to associating perms with curly or wavy hair, it’s also possible to get a straight one. In Asia, in particular, straight perms are popular, and we can totally understand why. The outcome is soft, shiny and classy from all points of view. If you feel that you would have loved living in the 50s, you can adopt a retro vintage hairstyle that will bring back golden age glam. These Jessica Rabbit-like pin up curls are an excellent way to start. 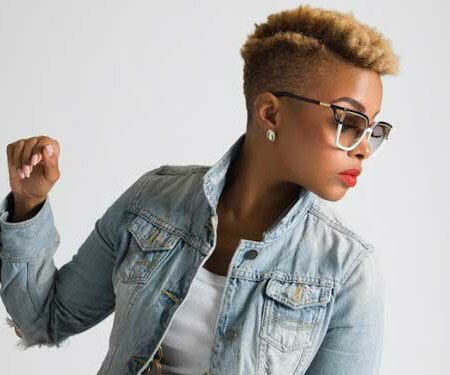 In many cases, short hair can prove to be more challenging to style than long hair. However, this isn’t the case for stacked bobs and perms. 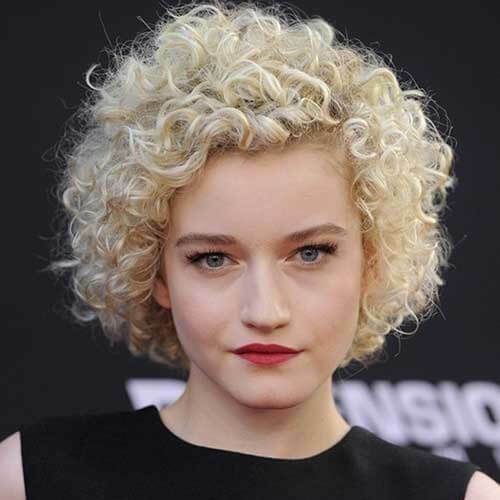 This haircut and curled style will give you plenty of volume when rocking short locks. 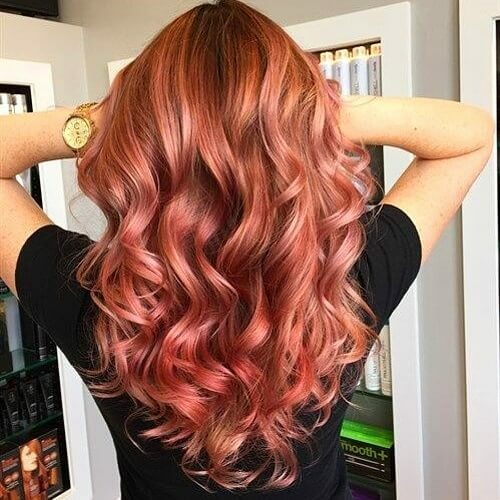 In addition to grey hair, rose gold deserves a spot on the podium for some of the latest and greatest hair color trends. Like the name suggests, it gorgeously mixes light pink with nuances of gold. It is one of the loveliest colors to bring your permed hair to life with. A body perm, also known as a body wave, is a looser alternative to the classic curly perm. Instead of being tightly rolled into small curls, the hair is permed to obtain large waves. It’s a natural approach to a perm that is flattering for all face shapes. Let’s not forget ash blonde when playing around with new hair color trends. 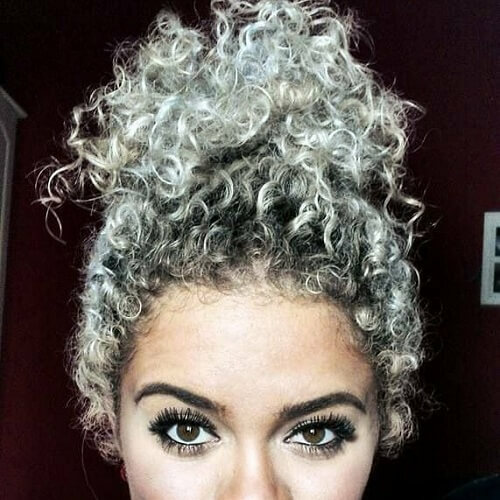 It looks absolutely radiant on permed hair, with tones of blonde and grey scattered all around. Like rose gold or grey, it complements curls of all lengths. Ladies born with natural red hair can enjoy rich, copper-colored curls without resorting to hair dye. 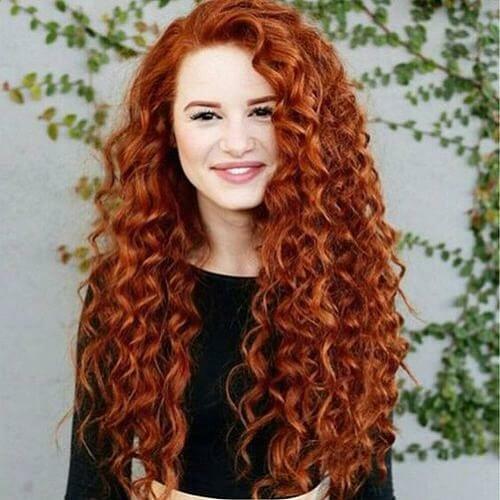 If you’re a natural ginger, all you have to do is focus on the curls and enjoy the head-turning results. If you want as much volume as possible, you can choose one of two ways. 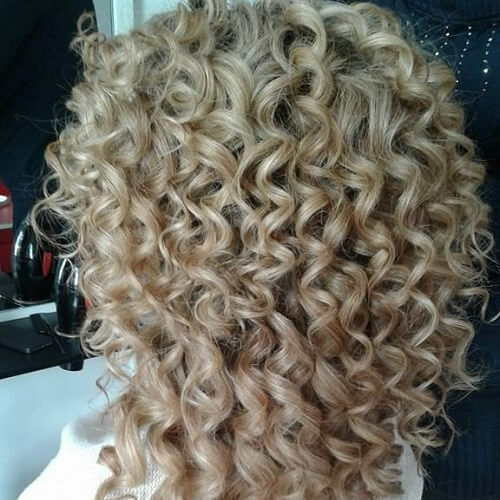 Firstly, you can get numerous tight corkscrew curls. Unfortunately, this look does not go well for everyone. 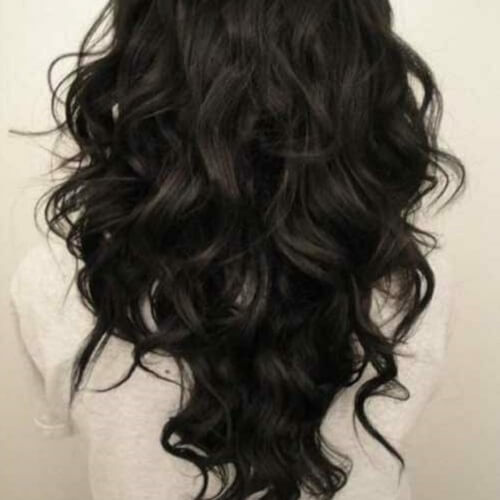 Secondly, you can opt for wide, loose curls that result in a big and beautiful perm. In the mood for bunches of small curls? The piggyback perming technique is for you. As opposed to other perming methods, the piggyback involves two rods for every hair segment. You’ll end up with an abundance of curls to enjoy every day. If you’re not sure whether to choose curly or wavy hair, you can get something in between. While these permed locks are indeed curly, they flow softly just like wavy hair. It’s another fantastic way to obtain a natural look. This is an alternative for rocking a beach wave perm that will make you the center of attention. It has a lovely carefree approach to a soft perm, enhanced by the bold ombre contrast. It also looks spectacular against darker skin tones or tanned skin. 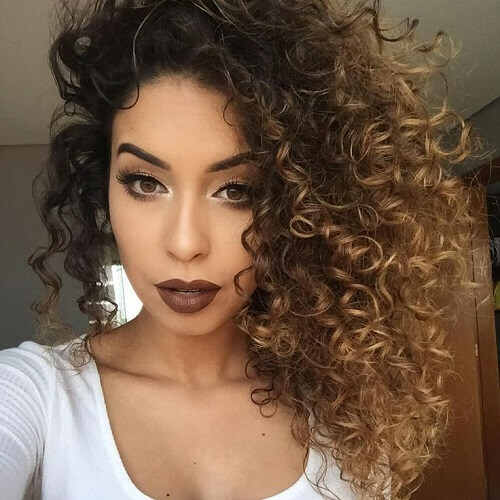 This permed hairstyle looks so natural that you wouldn’t even think it was permed in the first place. 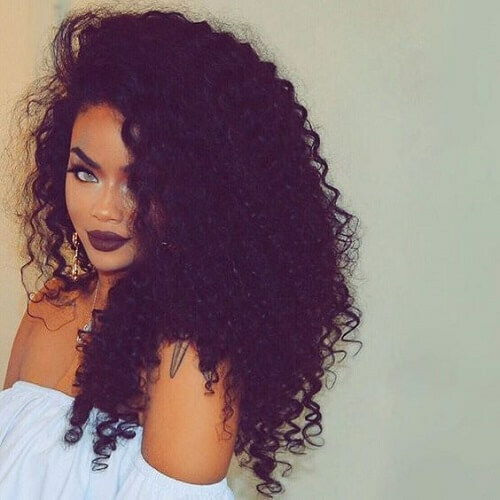 If you want something similar, consider a natural hair color to go with the silky waves. 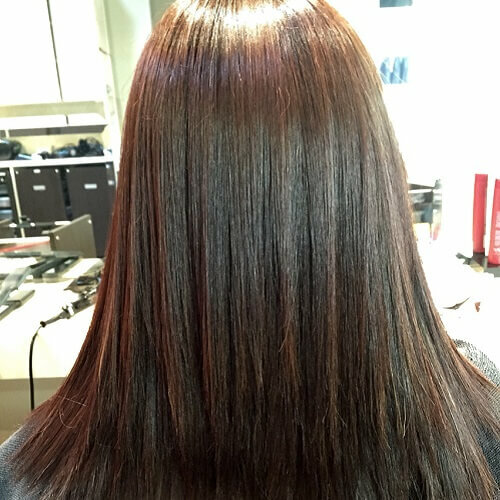 Chocolate brown or auburn are two wonderful ideas to begin with. Remember what we said about that elegant retro glam? Well, you don’t need to worry about requiring long hair for it. The timeless root perm looks outstanding for short locks. The results are classy, refined and irresistible. 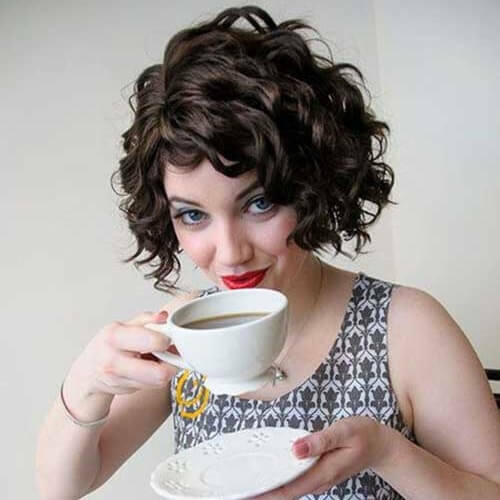 Short hair can also benefit from a myriad of curls. This is the curlier approach to the aforementioned style. It’s just what you need if you want your hair to appear as naturally curly. Long permed locks offer an entire world of styling options. If you want to accentuate the shape of your curls, you can try this half up half down top knot look. Keep a few loose curls in the front to define their shape even more. Shakira has been inspiring women all around the world to embrace curly hair since the early 2000s. 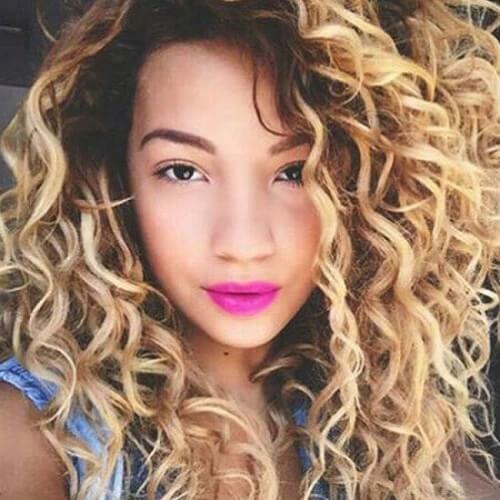 The beloved Latina songstress is known for her bold blonde curls, a style that can also be obtained through perming. If you want an even more exotic approach to your permed hair, consider this island beauty look. It has the same effortless style as most curly perms, with the majority of one part tossed carelessly to the other. 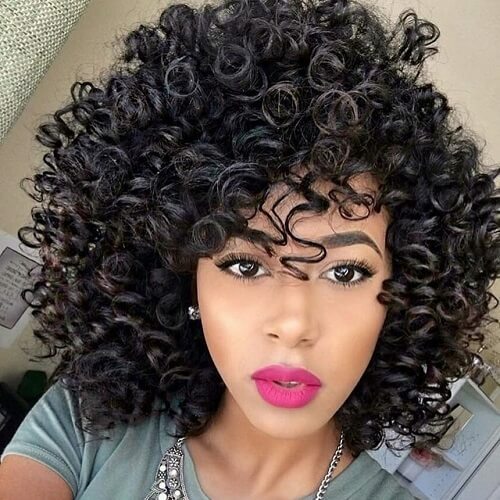 For bigger curls on natural hair, consider using thicker perm rods. They’re an exceptional way to outline your natural hair and get more than enough volume on the way. 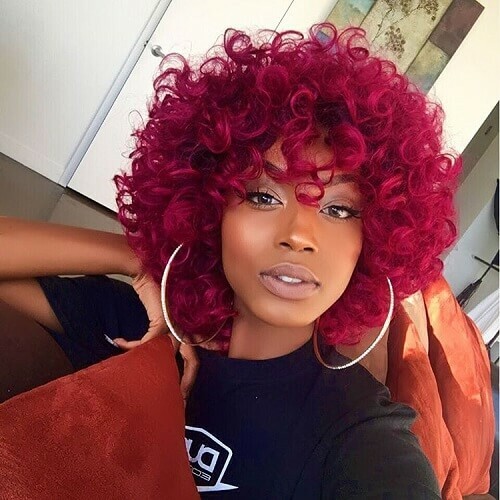 If bright, vivid colors define your personality, don’t be afraid to use them in your hair. Magenta, for example, is a brilliant shade that brings out any outgoing soul. Plus, it complements permed hair magnificently. 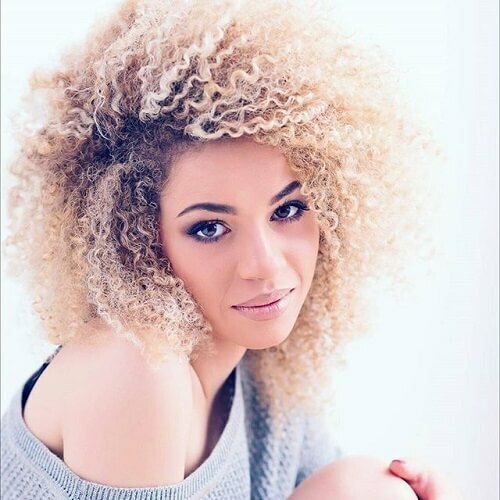 Singer Tori Kelly shows how charming loose curl perms look. If you want a bit of celebrity glam, consider getting a similar look with dark roots and blonde locks, all in satin waves. Waist-long permed hair opens up a world of infinite possibilities for styling. 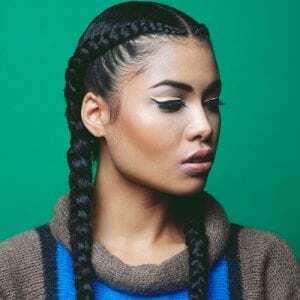 You can add all sorts of braids to your curls or waves, from French or Dutch braids to fishtail or pull-through braids. For a unique look, consider combining several braiding techniques. Women can shine like African princesses with afro-like hair. 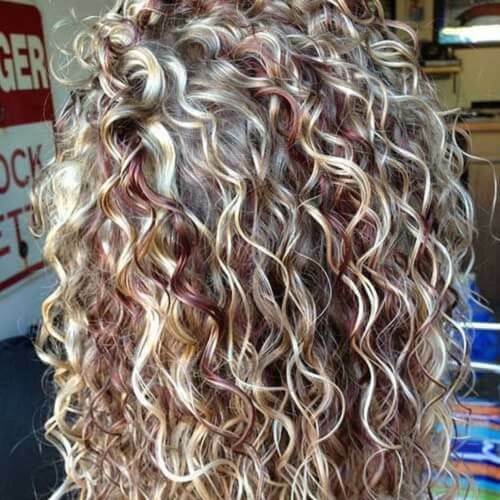 In this example, you’ll see what bleached curly hair with dark roots looks like. 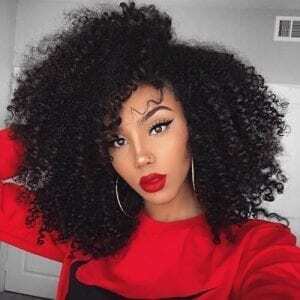 Nonetheless, don’t hesitate to get this ultra-curly perm on your natural hair color. This is yet another laid back and natural approach to perms. 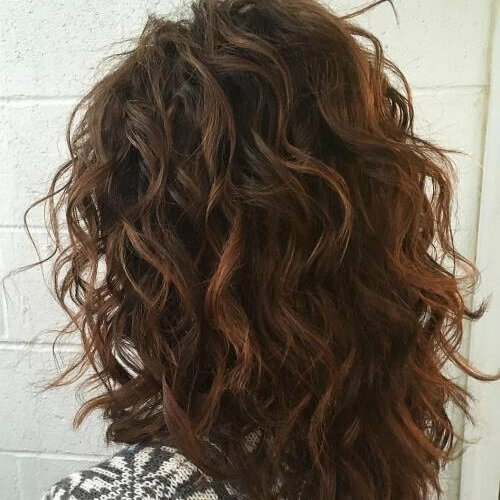 The key to getting that natural volume without teasing is to have a stacked and layered haircut. Pair it with a natural hair color and you’re good to go. Among straight perm hairstyles, the Japanese straight perm is certainly the most well-known. The outcome is impeccable straight hair, which enhances the natural shine of the locks. 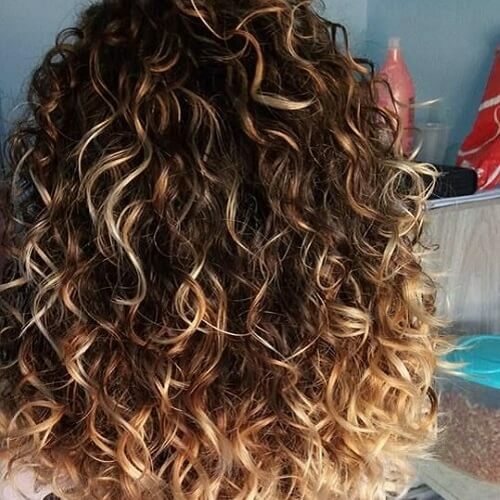 Another awesome way to define your permed hair is through lots of highlights. This is a great approach for ladies with brown hair, as they can sprinkle blonde streaks all around to show off their newfound curls. If you have thin hair, you can always think about getting it permed to spice it up a bit. By transforming straight, fine hair into waves or curls, you’ll be adding volume and dynamism naturally. As you have noticed in a few other ideas on our list, an exceptional trick for boosting volume with your permed locks is to toss most of your hair to the side. It’s a comfortable and chic way to sport your lovely curls. Why settle for just one hair texture when you can have all three? The multi textured perm gives you a bit of curls, some waves and straight roots all in one. By blending the three textures, you get a natural hairstyle that can be shaped for any occasion. These wide and defined ringlets are enough to get any fashionista excited. Even though their shape provides their major visual impact, the beach blonde hair color adds a chic touch to the whole look. If you have black hair or yours is dyed in a dark shade, perming it is a brilliant way to show off the rich, deep color. 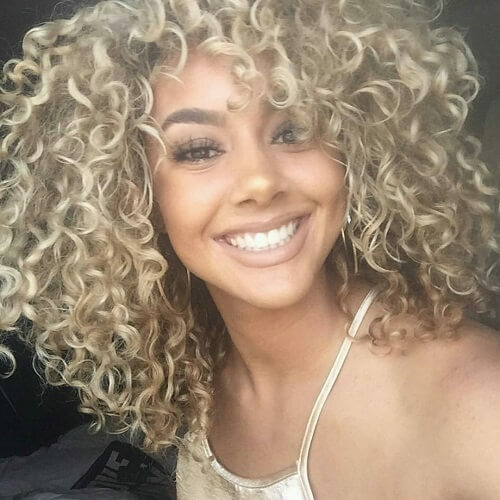 Soft and curly ways are an amazing way to go, so feel free to try them out. Layers are the ultimate tool to get more volume than you could have ever imagined. 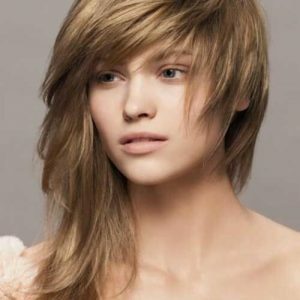 Especially when dealing with permed hair, a layered haircut is essential for obtaining that much-desired dynamism. If you were blessed with a chocolate brown color, you shouldn’t even stress out about dyeing your hair. 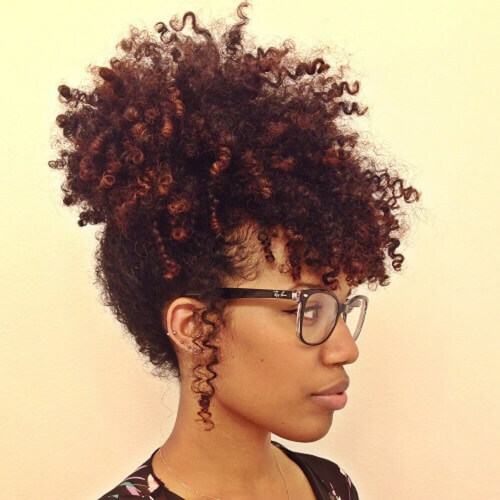 After getting it permed, you can twist your way into all the updos you could ever think of, all while maintaining that natural appeal. Speaking of natural blessings, thick hair is like pure gold for any woman passionate about hairstyles. It allows you to get any type of perm you’d like. At the same time, you reap the voluminous benefits of the perm without any effort. 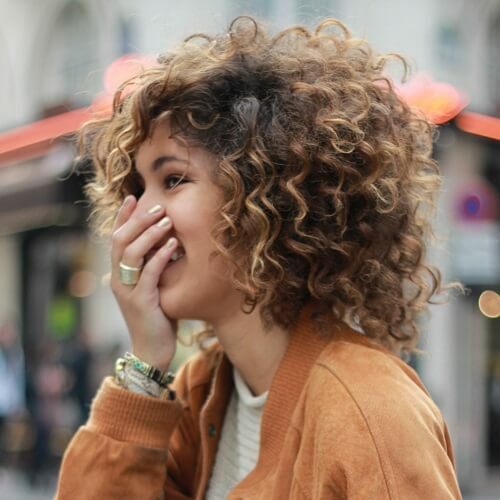 A laid back look can also be achieved through a partial perm. This means that you don’t start your curls from your roots, but rather from the second half of your hair. We recommend this for ladies with very long hair that still want to keep it slicked down with a bit of shape. 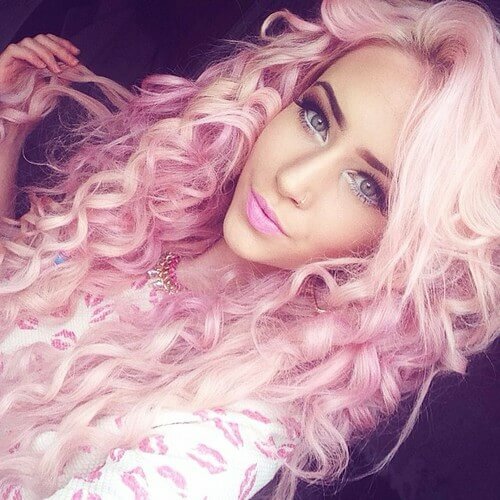 All sorts of pastel highlights can contour curls like there’s no tomorrow. 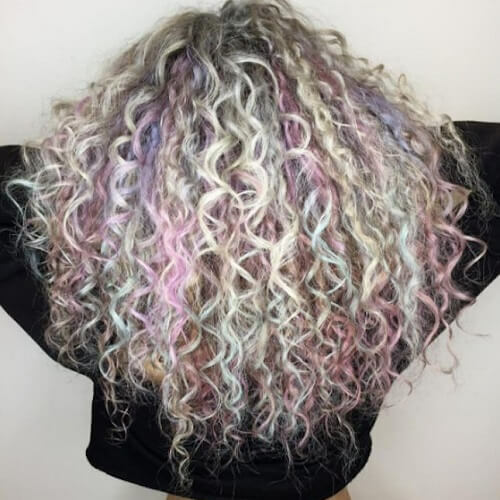 This coloring technique, commonly referred to as ‘opal hair’, is gorgeous for teens and outgoing adults alike. We’ll finish up our ideas on a bright note, with this ravishing deep purple color. 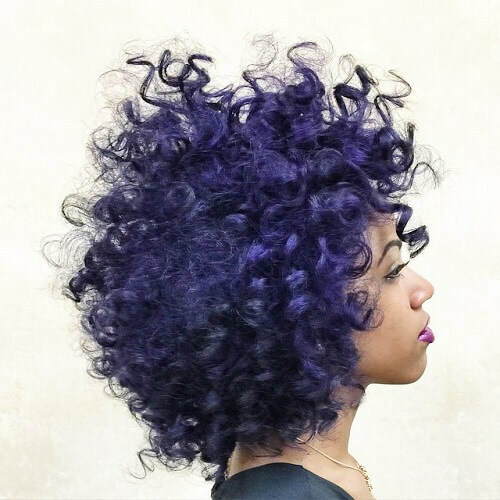 On short permed hair, a vivid shade like this electric violet can bring out the best in the curling technique. To conclude, the world of perm hairstyles has limitless possibilities. Without a doubt, there is a permed style out there that is just what you need to genuinely express yourself. 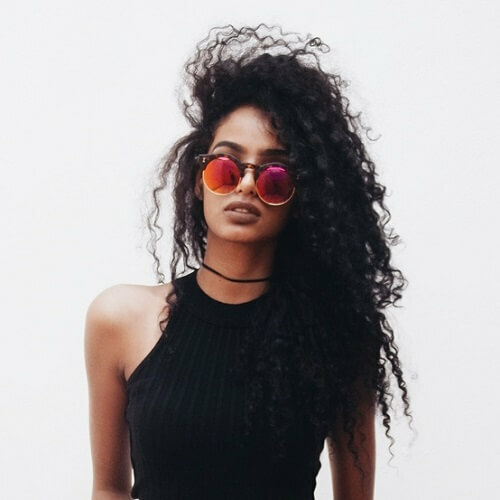 No matter if you choose curly, wavy or straight permed hair, don’t forget to figure out the optimum color that represents you the best.